Our Naperville nursing home abuse attorneys understand the anger and frustration felt by many family members when learning that their loved one has suffered some type of mistreatment or neglect while in a nursing home. In fact, there has been a significant rise in criminal and civil cases that involve pressure sores (bedsores; decubitus ulcer; pressure ulcers) happening in nursing homes throughout the Chicago metropolitan area. Aging, disabled and rehabilitating elders must often change the position of their body multiple times every hour. The movement relieves pressure and shifts weight from one body area to another. Bedsores can quickly develop without routine shifting by turning of the body every hour or so. Unfortunately, many individuals requiring help from skilled professionals because they lack the cognitive or physical capacity to move without assistance. If your loved one developed a bed sore during an admission to a Naperville nursing home, you may be entitled to file a lawsuit or claim against the facility. Contact the Nursing Home Law Center today for a free case review. Bedsores can quickly develop area of the body, but especially on bony prominence is that lack fatty tissue. The most common areas for developing sores occur on toes, ankles, heels, knees, hip bones, sacrum, shoulder blades, shoulders, elbows, neck and back of the head. When left untreated, the reddened area can quickly develop into an open sore that becomes extraordinarily painful with the potential of serious infection that results in gangrene requiring amputation. Medical directors, nursing home administrators and the nursing staff at facilities all throughout Illinois have a legal obligation to ensure every non-ambulatory or restricted-ambulatory resident receives scheduled turning and repositioning every hour or so. The routine readjustment of pressure can ensure that all skin areas are provided adequate oxygen and nutrients. report the detection so that an effective plan of care can be developed and implemented. Unfortunately, not all nursing facilities provide a high level of care that involves routine skin assessments and responsive protocols to ensure that an early stage bedsore does not degrade into a life-threatening condition. The Naperville nursing home neglect attorneys at Nursing Home Law Center LLC have served as advocates to many victims of nursing home abuse and neglect. Our dedicated attorneys have taken many steps to hold those responsible for harming nursing residents financially and legally accountable. In addition, our law firm publishes publicly available information concerning nursing facilities cited, investigated and penalized for low standards of care. We provide the list below outlining our primary concerns from information pulled from national databases including information provided on Medicare.gov. In a summary statement of deficiencies dated 10/30/15, a complaint investigation was opened against the facility for its failure to “re-evaluate pressure ulcer risk factors for a resident with a new fracture.” The state inspectors also investigated the facility’s failure “to revise prevention interventions to address individual needs”. While these division practices affected one resident at the facility. Identify those residents that are at high risk for developing Pressure Areas, and Relieve or remove pressure. Interventions include Offload heels when appropriate. Under the Management of Interventions section, the policy it states, Staff will care for resident as indicated in the resident’s care plan, Regarding Individualized Interventions. Our Kenosha nursing home neglect attorneys recognize that any failure to provide proper treatment to residents requiring special needs, equipment or services might place the health and well-being of the resident in jeopardy. The deficient practices might be considered negligence or mistreatment because the nursing facility did not provide the proper equipment which caused additional harm to the resident who developed a facility-acquired bedsore. The horror stories involving elder abuse residents are pushed, beaten, sexually assaulted or robbed are obvious signs that something is going wrong inside a nursing facility. However, many other residents become victims at the hands of their caregivers who provide inadequate treatment or follow ineffective plans of care that threaten the health and well-being of the elderly who must rely on others for assistance. When a nursing home resident develops a bedsore, the problem is usually very straightforward. At some point in the recent past, the part of the resident’s body that developed the pressure sore was not provided an adequate flow of blood to the skin and underlying tissue. The prolonged pressure restricted much-needed oxygen and nutrients to the area causing the skin and tissue to die. The area first appears as a reddened spot on the body that can eventually become necrotic, where the skin completely dies and develops a crater. The open wound can become infected or increase in width and depth, exposing muscle and bone. The open wound makes the body’s highly susceptible to bone infections (osteomyelitis) and blood infections (sepsis), placing the health of the resident in grave danger. If you suspect your loved one has been provided an unacceptable amount of care and attention and developed a facility-acquired pressure sore, it is imperative to take immediate steps to stop the neglect now. Many families choose to hire personal injury lawyers who specialize in nursing home abuse cases to serve as legal advocates. The lawyer can take effective measures to ensure that your loved one receives the proper care, even if this means transporting them to another facility or bringing other health care providers to your loved one’s bedside in the nursing home. If your family needs to discuss a case involving bedsores with a reputable Illinois elder abuse law firm, the Naperville nursing home abuse attorneys at Nursing Home Law Center LLC can help. Our Illinois team of dedicated respected attorneys represents victims with cases involving negligence, abuse and mistreatment occurring in nursing homes throughout the Chicago metropolitan area. Our law firm can fight aggressively on your behalf to ensure your loved one receives proper medical care and recovers the maximum amount of financial compensation for their injuries, damages and harm. 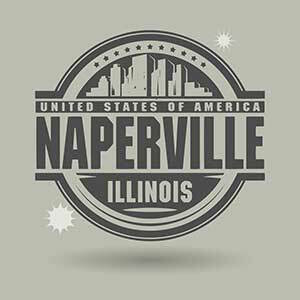 Contact our law offices today at (800) 926-7565 to speak with one of our experienced Naperville elder abuse lawyers for your free full case review. We pursue compensation on your behalf using a contingency fee agreement. This means we provide you and your family legal representation without your need to pay any upfront fees or retainers. All information you share with our law offices remain confidential. Our law firm is experienced with pressure sore litigation. Review some of our recent bed sore case results here or learn about how these cases are evaluated by insurance companies and juries in Illinois here.